What a busy time it has been for CSIRO’s Australian SKA Pathfinder (ASKAP) telescope since the last SKA eNews! Commissioning activities have steadily continued out at the Murchison Radio-astronomy Observatory (MRO), with a number of initial science results achieved with the first six ASKAP antennas. The development and production of CSIRO’s innovative phased array feed (PAF) receivers has also accelerated, with the first three ‘production’ Mk II PAFs now shipped to the MRO. Additionally, the potential of the ASKAP PAFs as ‘game changers’ for radio astronomy was acknowledged in multiple successes at engineering and innovation awards in both 2013 and 2014, validating ASKAP as a project that keeps Australia on the global innovation map. 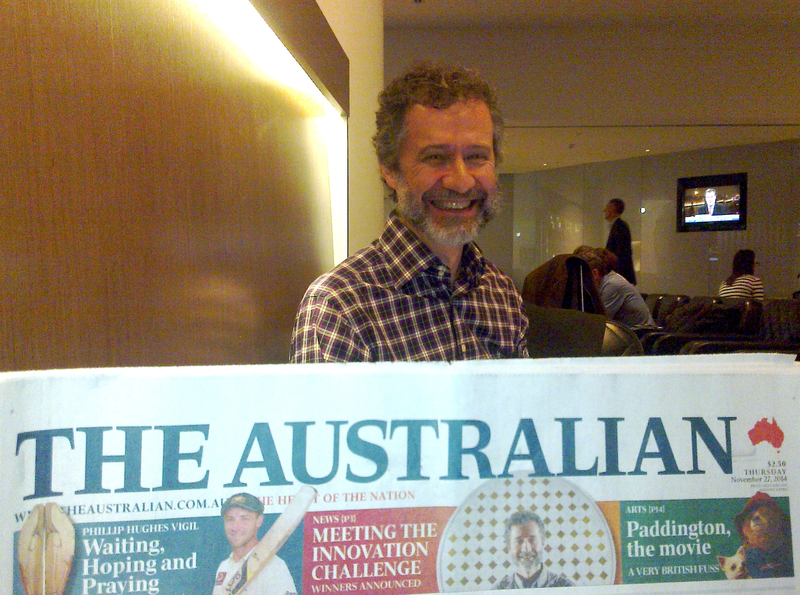 ASKAP Project Director Antony Schinckel celebrates a win for the ASKAP team in the 2014 Australian Innovation Challenge. 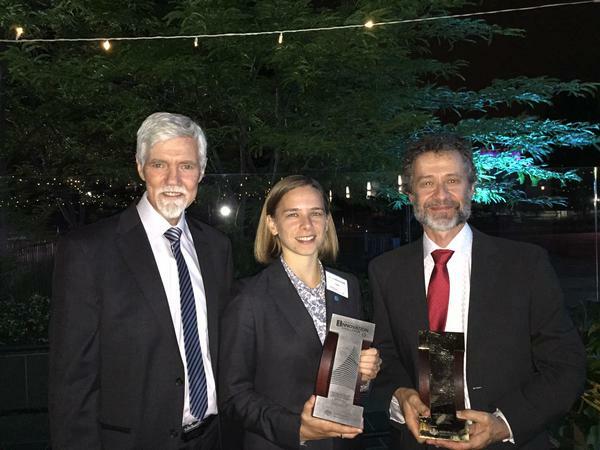 CSIRO’s ASKAP telescope is now officially a multi-award winning project, after taking home national awards in the Engineers Australia Engineering Excellence Awards (2013) and the Australian Innovation Challenge (2014). According to ASKAP Project Director Ant Schinckel, ASKAP’s phased array feed (PAF) receivers and associated digital systems were a key driver behind the awards, thanks to the huge field of view and resultant increased survey speed the technology offers. The awards are a great recognition of what a scientifically, technically and logistically ambitious project ASKAP is, taking expertise in the research and development of cutting edge low cost technologies, and working together with industry to put these technologies into production. The Australian SKA Pathfinder (ASKAP) team has ‘hit the ground running’ in 2015: commissioning observations with the first six ASKAP antennas installed with the Mk I PAFs – a test array known as BETA (Boolardy Engineering Test Array) – have already achieved significant initial scientific results. 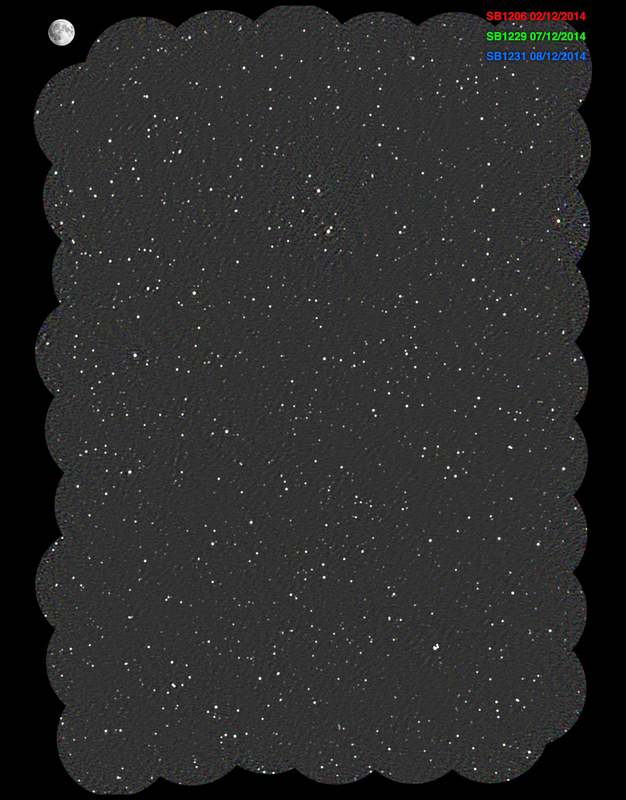 A field in Tucana imaged with BETA over 12 hours, covering 150 square degrees (an area approximately four times the size of the Southern Cross) and containing more than 2000 sources brighter than 5σ. The image shows the rapid survey capability of the Mk I PAFs and the stability of the system when performing wide-area surveys, highlighting the potential value of PAFs in studying variable sources. 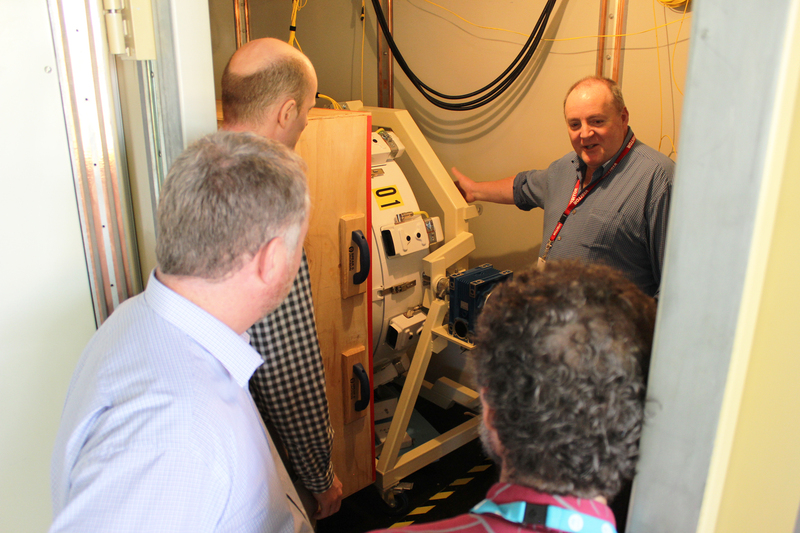 BETA – an operational telescope in its own right – is providing a critical development tool for researchers and engineers working on ASKAP. At present the thrust of commissioning is beam measurement and its application to the calibration of mosaics, the exploration of calibration and imaging techniques that best suit the data already generated by the current instrument. Noteworthy findings with BETA have been the ‘blind’ detection of HI in absorption, detection of an intermittent pulsar, and the discovery of ‘dark’, massive clouds of HI near the galaxy IC 5270. These results, now in publication, are ‘proof of concept’ for ASKAP and lay the groundwork for some of the ten Survey Science Projects (SSPs) planned for the first five years of ASKAP operation: for FLASH (the First Large Absorption Survey in HI), VAST (Variables and Slow Transients) and WALLABY (the ASKAP HI All-Sky Survey) respectively. The results would not have been possible without the features that make ASKAP unique, namely its wide field of view and resultant rapid survey capability, and the radio-quiet environment offered by CSIRO’s Murchison Radio-astronomy Observatory (MRO). The development of the second generation (Mk II) PAF system has advanced through a design optimisation program focused on operational enhancement through the use of new technologies and assembly techniques. 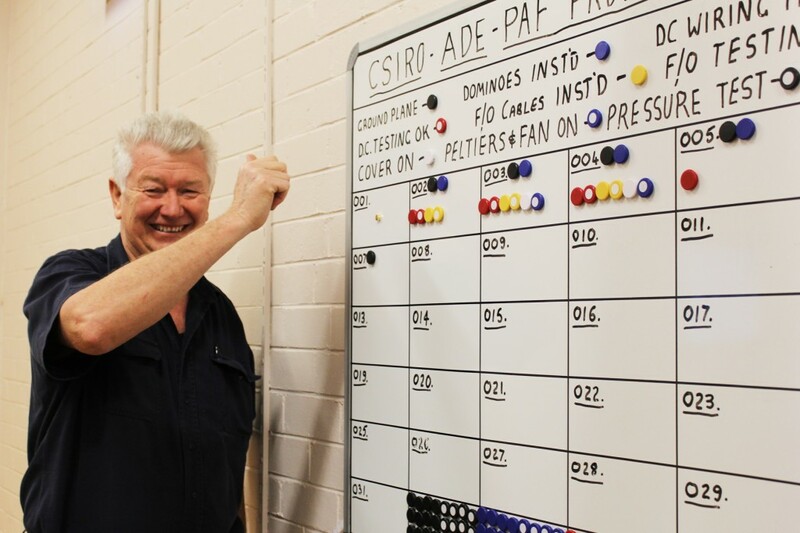 Warren Chandler grins as the first gold star is stuck on the Mk II ‘status update’ board in the Sydney workshop. A gold star signifies the PAF assembly is officially complete, with the receiver packed up and ready for shipment to the MRO. Building on lessons learned with the design, development, construction and testing of the Mk I receiver, the Mk II now incorporates novel components and assembly techniques such as the use of marine composites technology in the PAF casing to manage structural loading, thermal insulation, environmental protection and RFI shielding, as well as specially-designed groundplanes that ensure a low and stable operating temperature for increased system reliability. The first full-size Mk II receiver was lifted on to ASKAP Antenna 29 at the MRO in September 2014, marking a new milestone in the development of ASKAP. Preliminary ground-based aperture array tests yielded promising system temperature results, confirming the overall design, and subsequent on-dish measurements of the Mk II system confirmed its low-noise performance across the entire ASKAP frequency band. Above 1,400 MHz the new PAFs are more than twice as sensitive as the first-generation ones, and have four times the survey speed. The minimum Tsys/η is 78 K at 1,230 MHz, and Tsys/η is 95 K or better across the 835–1,800 MHz range. Achieving such low noise over the upper end of ASKAP’s frequency range is an excellent preliminary result for the Mk II PAF. In the meantime, the first batch of production Mk II PAFs have being assembled, tested, packed and (now) shipped from CSIRO’s Sydney headquarters, for deployment to the MRO in Western Australia. In parallel, the Firmware team have been working out at the MRO, installing the digital backends – beamformers and digital receivers – into the MRO Control Building ahead of the arrival of the PAFs. This requires careful coordination and planning in order to minimise the impact to PAF testing and software integration activities with the systems. SKAO Director-General Phil Diamond inspecting a Mk II production PAF during his recent visit to Marsfield.